Only 152 pieces in stock! This listing is for a sample size (.5) soap. 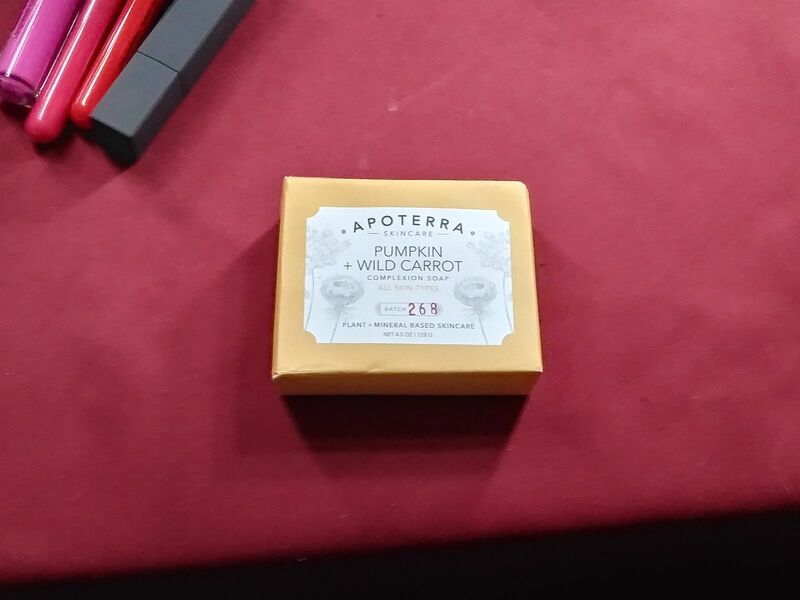 Our brightening bar soap, made with pumpkin and wild carrot, gently smooths and brightens dull and uneven skin. Pure pumpkin pulp and pumpkin seed oil, both naturally rich with fruit enzymes and Vitamins A, C and E, paired with essential fatty acids, and zinc, help remove layers of dead skin to reveal a brighter, smoother, clearer complexion. The powerhouse mix is topped off with wild carrot seed oil and a proprietary potent anti-aging essential oil blend that deeply nourishes, clears the complexion, fight breakouts and makes skin more radiant. Pumpkin Pulp // High in beta-carotene, Vitamin A, C, free radical fighting antioxidants, exfoliating enzymes, copper and zinc, this fruit does it all, really. It exfoliates, prevents premature aging, nourishes the skin for optimal skin barrier function, stimulates collagen production and can even help fade skin discoloration. Pumpkin Seed Oil // A cold pressed oil straight from pumpkin seeds. It is one of the most nutritional oils available and is a rich source of the cell-communicating essential fatty acid Omega-6 (linoleic acid), Omega-3, and antioxidant vitamin E. It also contains Vitamin A, Vitamin C, zinc, and other trace minerals to protect from environmental stressors. Pumpkin seed oil is a deep penetrating, nutrient-rich moisturizer that will keep skin healthy and glowing. Wild Carrot Seed Oil // Fun fact: Carrot oil does not come from the actual carrot! Nor is it the traditional orange carrots that we’re used to. This version is actually a type of wild carrot, and the oil is extracted from the seed of the plant commonly known as "Queen Anne's Lace”. It’s prized for its healing abilities and rejuvenating effects. Wet hands and lather up the pumpkin and carrot soap. Massage into face and let pumpkin and annatto seeds in the bar gently slough away dirt, makeup, and SPF. Rinse with warm water or use a damp towel to gently wipe away. JESSICA C. Reviewed by JESSICA C.
I've always had oily skin, lately just my cheeks and chin area have become dry and flakey. Everyday I'd have little white heads pop up on my cheeks. Thinking I must be drying my skin out too much, I switched to the pumpkin and carrot complexion soap and viola! My skin is balance and glowing! I'm about 1year into apoterra skin care and they have not let me down yet. Rosa S. Reviewed by Rosa S.
Love How This Soap Makes My Skin Feel! I've been using the pumpkin soap, and the activated charcoal soap when I have breakouts, and I really love how both of these soaps cleanses without drying. I've used other natural brands and they always leave my skin with that squeaky feel that I just don't like. This soap does the job while leaving my skin smooth and soft. Rose B. Reviewed by Rose B. Very nice and lovely lather. This stuff is great! Just like the activated charcoal but a bit more smoother on the skin. Lovely! Kaitlyn P. Reviewed by Kaitlyn P.
I love love love this soap! I have been enjoying it even more than the charcoal soap during these colder months. It seems to really be helping with my cyclical breakouts as well. The smell is amazing and it leaves your face feeling clean but not dry. Definitely worth a try! I really like using this before bed. It makes me feel like I have removed the days grim off my face.